To help consumers choose quality water treatment products, the WQA developed its Gold Seal Certification Program - issuing the first Gold Seal in 1959. The WQA only awards the Gold Seal to those systems, components, or additives that have met or exceeded industry standards for contaminant reduction, structural integrity, and material safety. Customers can easily identify WQA Certified products by looking for the Gold Seal Mark. The U.S. Green Building Council (USGBC) is a 501c3 nonprofit organization committed to a prosperous and sustainable future through cost-efficient and energy-saving green buildings. USGBC works toward its mission of market transformation through its LEED green building certification program, robust educational offerings, a nationwide network of chapters and affiliates, the annual Greenbuild International Conference & Expo, professional credentials and advocacy in support of public policy that encourages and enables green buildings and communities. 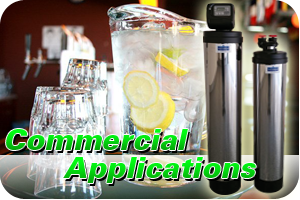 Santa Clarita Water Conditioning is backed and recognized by the Santa Clarita Valley Chamber of Commerce as one of the most beneficial businesses to the city and to the people living in it. 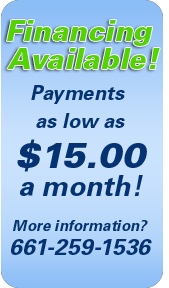 Santa Clarita Water Conditioning provides high quality products backed by a 5 year warranty for control valves. 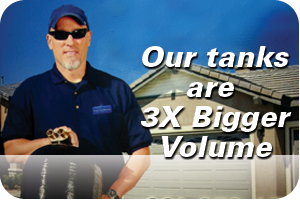 Santa Clarita Water Conditioning provides a 10 year limited part warranty for the tanks. 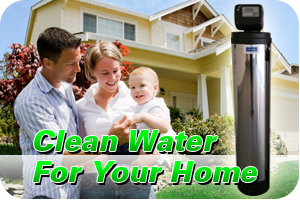 Santa Clarita Water Conditioning is proud to carry and install products made in the U.S.A.